Some 180 delegates attended an outstanding QC Conference at the George Washington Masonic National Memorial in Alexandria, Virginia, in mid-September 2018. 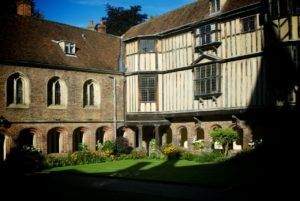 The Conference included over twenty papers delivered over two and a half days, together with a demonstration Universal Lodge and wide-ranging open debates. The Conference Brochure gives a picture of the day-time events, albeit not of the evenings in Alexandria and our conference dinner at Theismann’s! Conference Reports can be read in Philalethes and Freemasonry Today. Our thanks to all those involved, especially Ric Berman, James Campbell, Jon Shelton, Susan Sommers, Mark Tabbert, Tyler Vanice, and all our speakers. And to the teams at GWMNM, MACAL and MESH for their generous support. 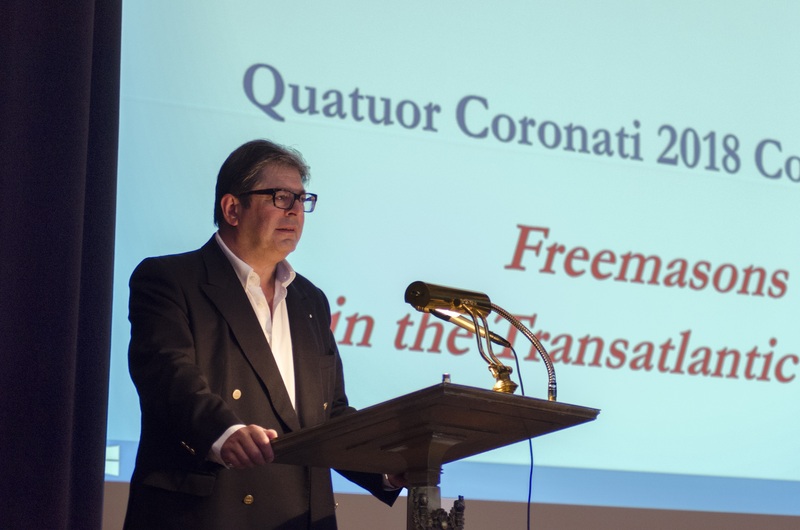 The Transactions – Freemasons in the Transatlantic World – comprising the papers delivered at the Conference is available for pre-order here. 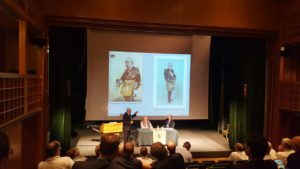 We hosted more than 200 visitors at our Symposium at Freemasons’ Hall in London on 15 February: Professors Andrew Prescott & Susan Sommers argued that the first Grand Lodge was not formed in 1717 but 1721; and John Hamill & Dr Ric Berman, contended the reverse. The papers delivered on the day can be found in AQC 131. 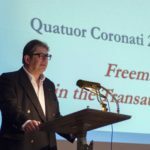 The three-day conference held jointly by Quatuor Coronati and Queens’ College closed on 11 September 2016 having brought together scholars from across the world to speak on the history and development of Freemasonry. More than 160 delegates and guests attended, and the proceedings have now been published. The book of the Conference – Reflections on 300 Years of Freemasonry – is now sold out! 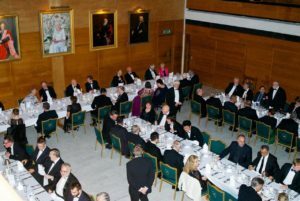 Alongside a full programme of excellent lectures, the highlights of the weekend included a formal dinner at Queens’, Ric Berman’s Prestonian Lecture at Bateman Street attended by the Provincial Grand Master of Cambridgeshire and his team, the PGM and PGS of Leicestershire, and the GMs of Italy and Japan, among other distinguished attendees. Photographs courtesy of Shawn Eyer, David Peabody and David Peck.